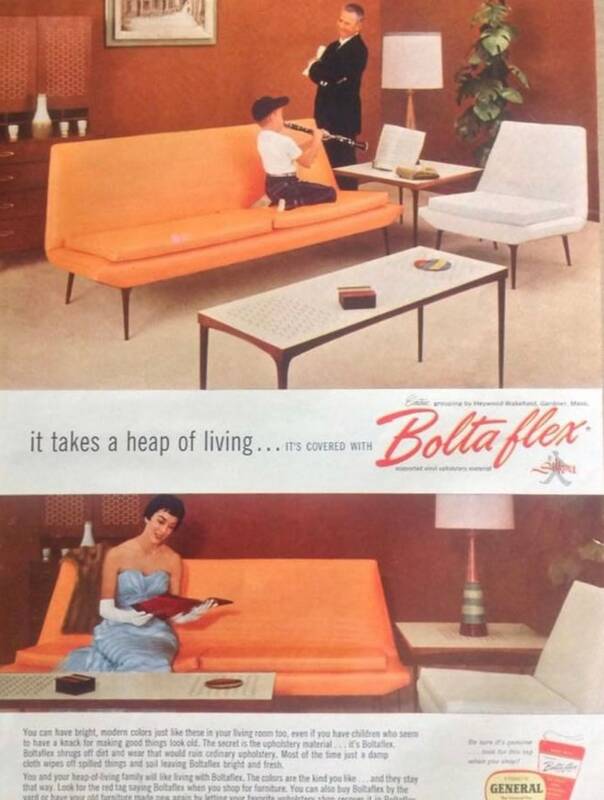 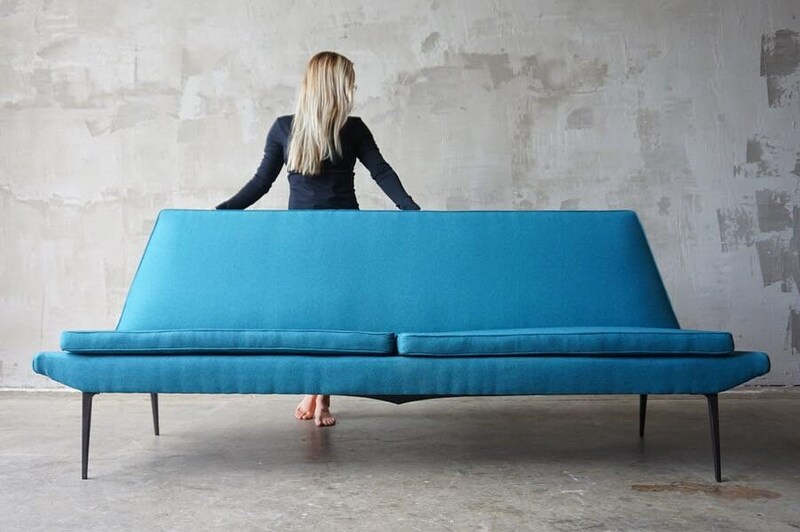 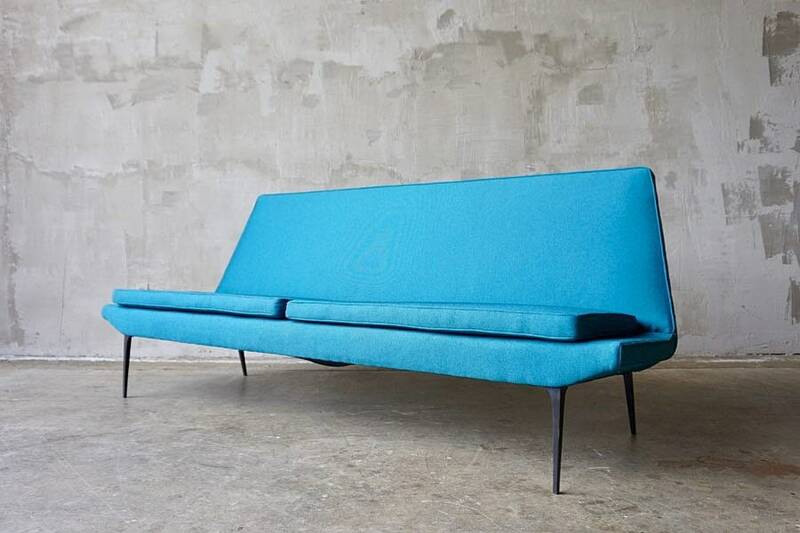 Rare ‘Metronome’ sofa designed by Carl Otto for Heywood Wakefield’s ‘Contessa’ line, c. 1959. 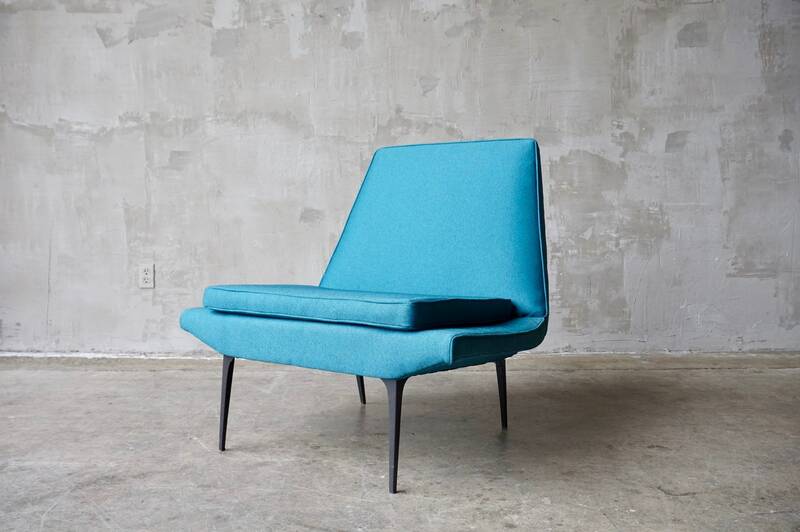 Matching lounge chair available separately. 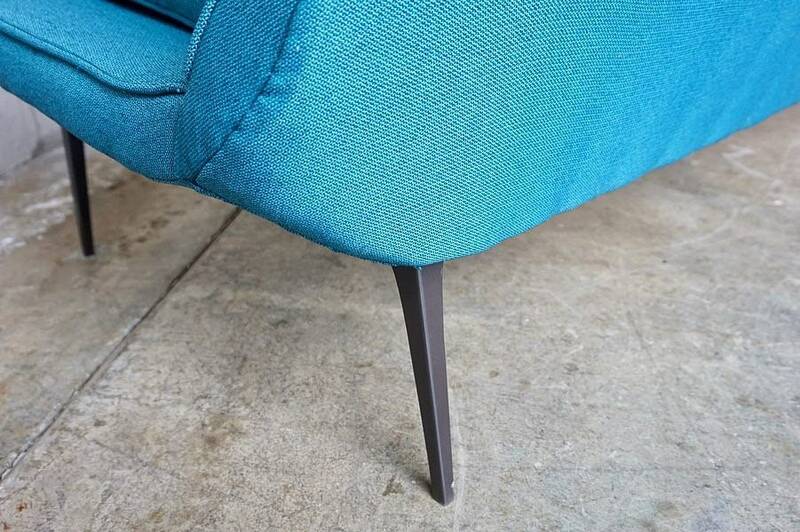 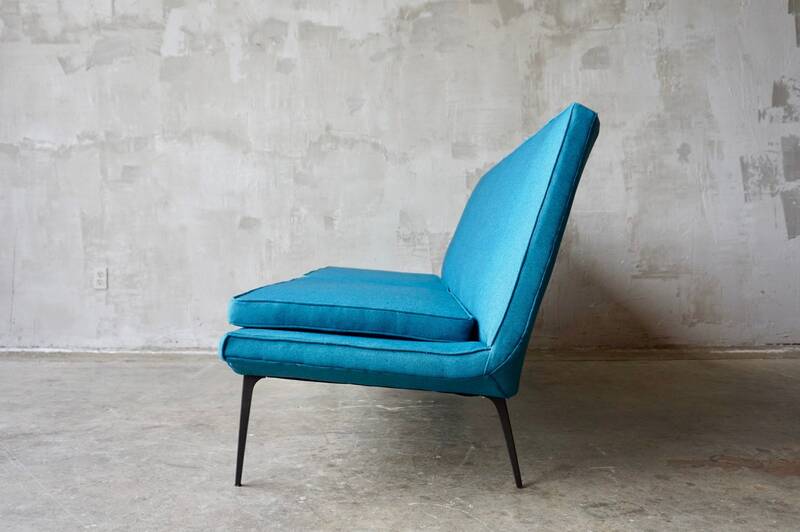 Restored in Knoll hourglass Aegean fabric with original enameled metal legs. 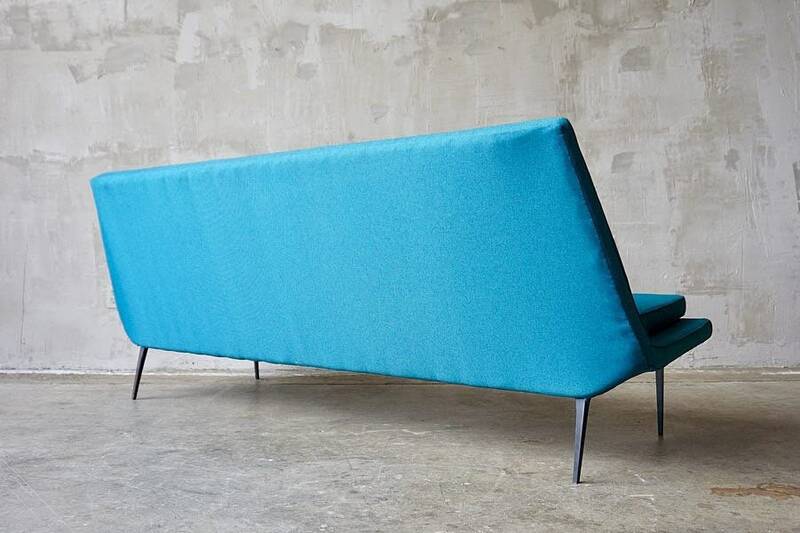 Measures 84”W x 35”H x 33”D.